The C12 is homologated to 40km/hr, incorporating Air/Hydraulic braking combinations. Service intervals are extended with high performance steel hammers and a wear resistant Carbide edge facing. Quick change screens available with 100mm, 75mm, 60mm, 40mm, 30mm and 20mm sizes. (2 screens supplied as standard with machine). 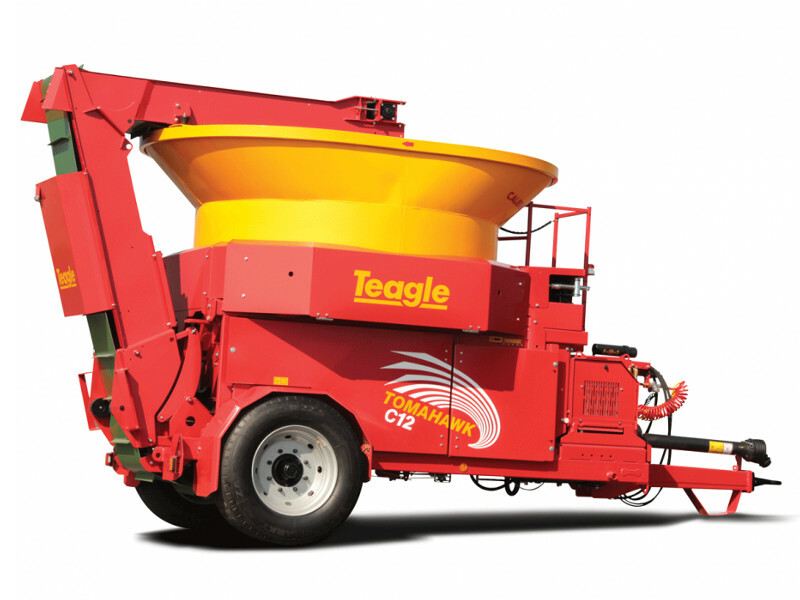 The Conveyor Deflector controls straw discharge when filling a trailer. An optional 80mm ball hitch can be specified in lieu of the standard bolt-on ring hitch. A manual Jack is available for either hitch type.